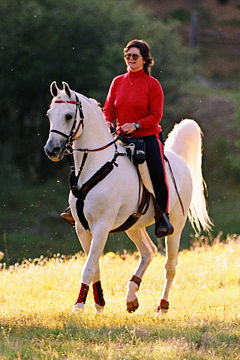 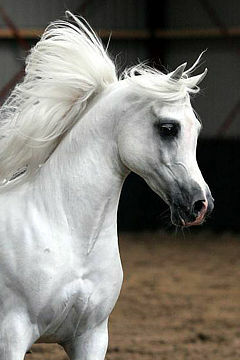 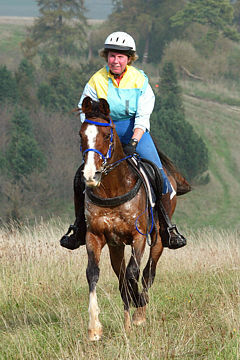 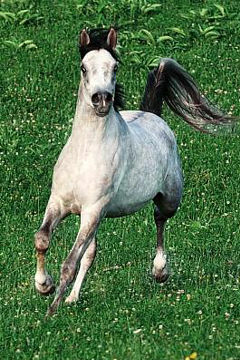 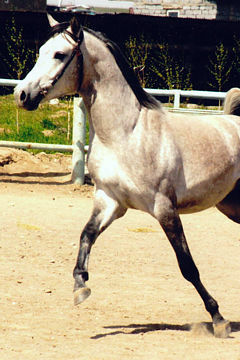 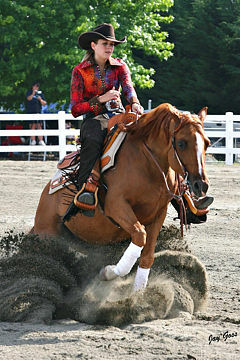 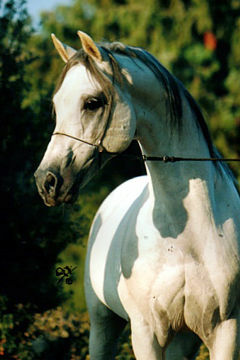 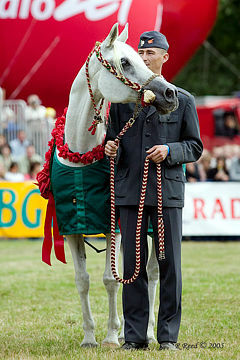 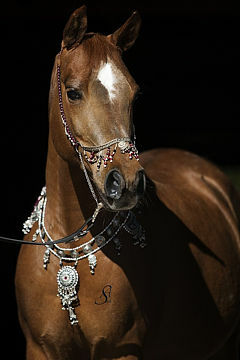 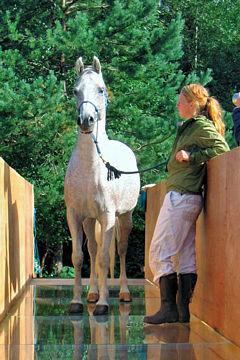 Bell Sihr was born in 2007 and bred by Bell Arabians. 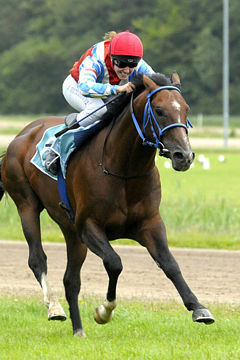 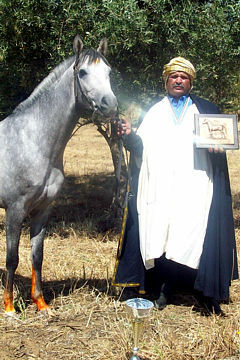 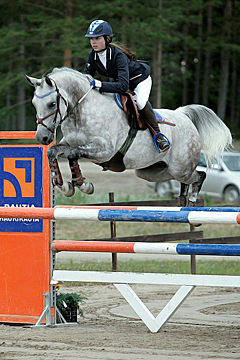 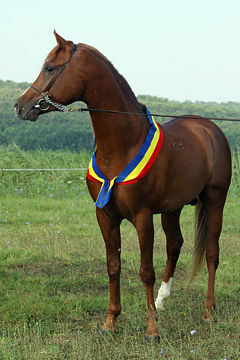 He is by the well known sire WH Justice and out of Bell Alima (Halim Witez / Bell Mimika). 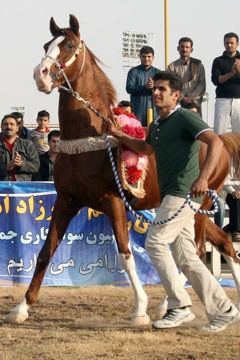 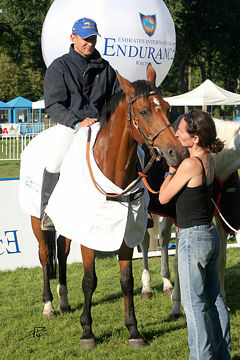 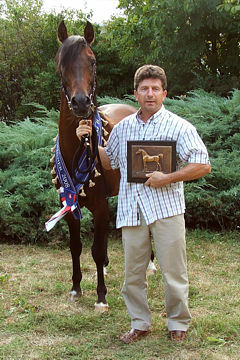 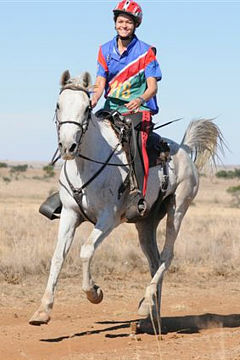 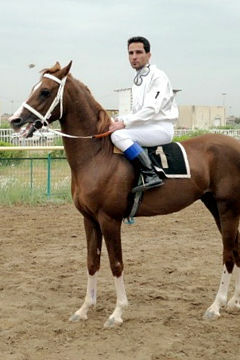 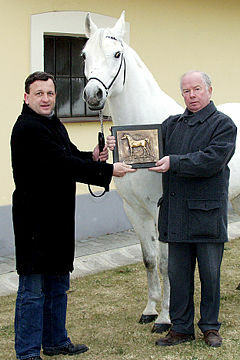 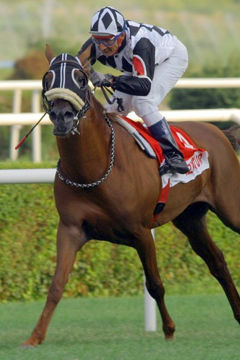 Shown lightly as a yearling, Kirk Arabians bought Bell Sihr in 2011 and he soon proved to be an exciting dressage horse. 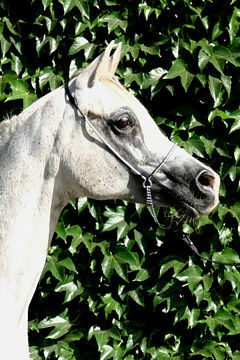 He is an incredibly beautiful and kind gelding with a good compact body and 3 super gaits with lots of power. 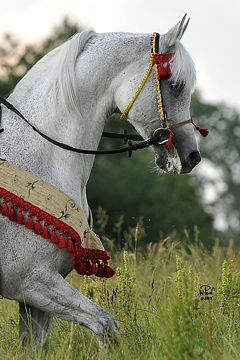 He is very teachable and has a beautiful sparkle when he works. 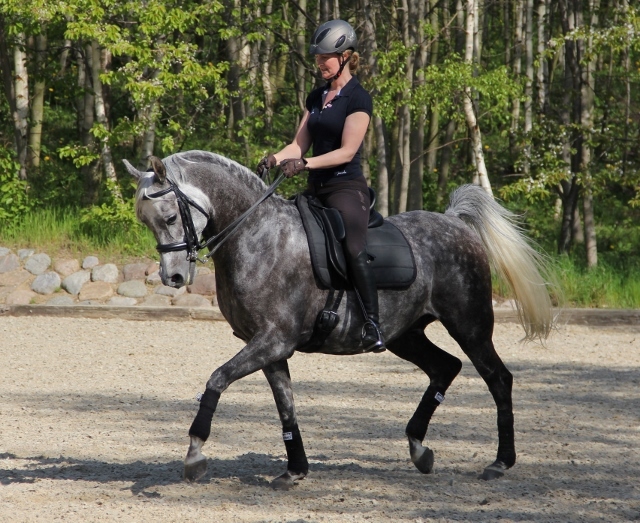 In 2013 he won the Classic Allround Cup at the European Championship in Vilhelmsborg, wherein , inter alia, he won the FEI ICP dressage class with 67.439 %. 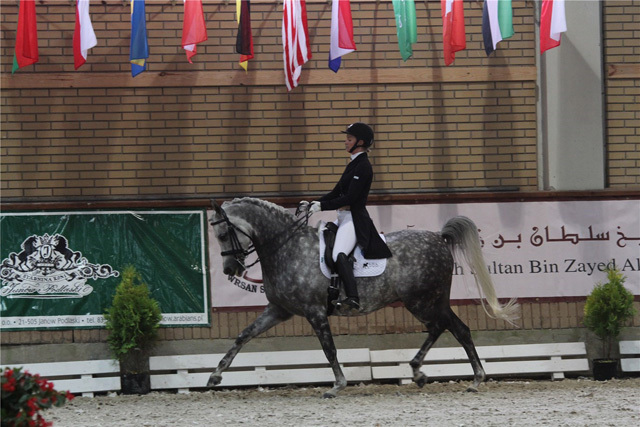 Also in 2013 we competed in dressage achieving one LA2 to 71.034 % and 67.279 % to LA4. 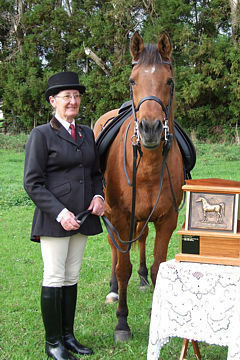 Since winning the WAHO Trophy, Bell Sihr has continued to progress. 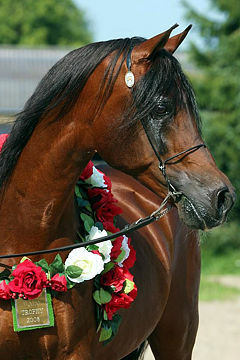 In 2014, he had his debut in MB0 and MB2 level dressage, ridden by his owner, Signe Kirk Christiansen, winning the Danish National Dressage Championship title. 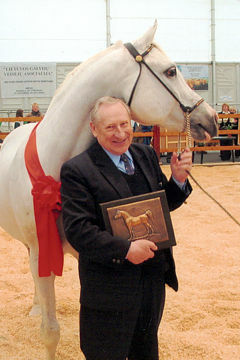 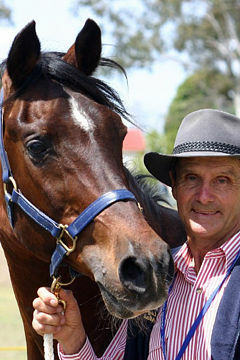 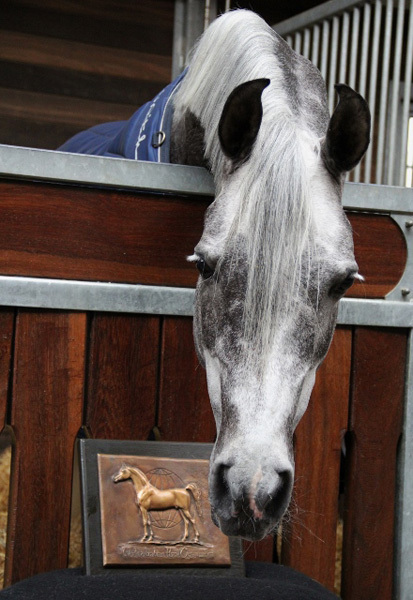 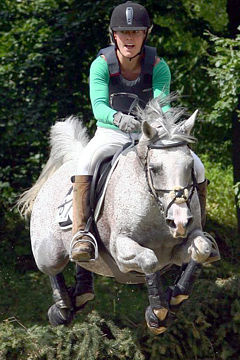 He also took the title of Classic Pleasure Champion at the 2014 European Sport Championships for Arabian horses. 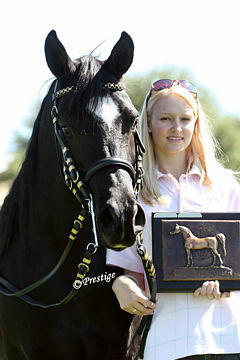 We are very excited about Bell Sihr’s development and are confident that he will do very well in the future .